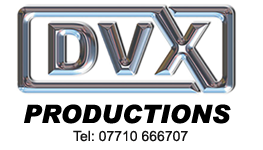 Here is the introduction to this years SPOTY Awards held at the Pavilions in Plymouth, 1st February 2016 produced by Alan Tibbitts of DVX Productions. Having filmed and edited over 50 sports personalities and organisations, completed in a very short space of time these clips were provided for the evenings entertainment. Having followed guest speaker and England legend Kevin Keegan capturing his rather damp visit to Plymstock School it was then back to the Pavilions to cover the evenings prestigious event. It was a huge success many people commenting that it was the best Herald Awards presentaion they had ever witnessed. Here is the opening clip showing some of the many sporting highlights and the significant involvement of local sports superstars such as Henry Slade, Ruta Meilutyte and Ben Proud to name but three.